American talk show host and actress Oprah Winfrey will serve as godmother of Holland America Line’s newest vessel Nieuw Statendam, which is currently under construction at Fincantieri’s Marghera shipyard in Italy. Nieuw Statendam, which will sail her maiden cruise in December 2018, will be officially named during a private christening ceremony in 2019. The date will be revealed soon. Winfrey, who has been working with the cruise line as part of the O, The Oprah Magazine since 2017, will also board Nieuw Statendam for a ‘Girls’ Getaway cruise in January 2019. She will be joined by the magazine’s editor Gayle King and other members of the editorial staff. “We are so excited to have Oprah set sail with us again for the ‘Girls’ Getaway’ cruise in partnership with O, The Oprah Magazine, and we’re deeply honoured that Oprah will serve as godmother of Nieuw Statendam,” said Orlando Ashford, president of Holland America Line. Large cruise ships will soon be banished from the centre of Venice, Italy's transport minister announced on Nov 5, 2017. The ships have long been a source of frustration to locals, who have protested against the pollution and potential damage to fragile historic buildings and the canal itself. And cruise ships are also a key factor behind the rise of mass tourism to the lagoon city, which has meant that on a given day, there are more visitors than residents in the city. This has pushed up rents and seen traditional, artisan businesses replaced with shops selling fast food and cheap souvenirs. Now, an Italian government committee has decided that ships weighing over 55,000 tonnes will have to moor in the industrial port of Marghera, northwest of the historic centre of Venice. 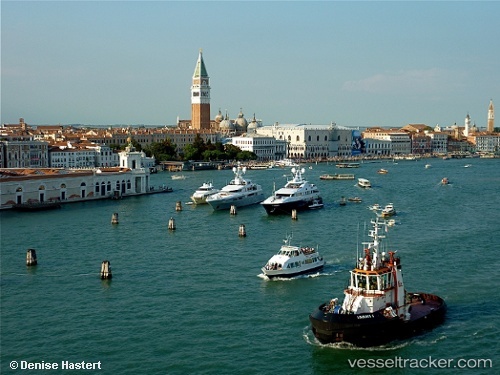 This means they will no longer be able to access the Giudecca Canal, which passes next to St Mark's Square. Mayor Luigi Brugnaro said the decision was "extremely positive" because it had managed to find a compromise between environmental and residents' concerns, and "the jobs created by the cruise industry, which we cannot afford to lose". "We want it to be clear to UNESCO and to the world that we have a solution," Brugnaro added, referring to warnings from the cultural heritage organization that the city could be listed as 'threatened' if it failed to take measures restricting cruise ship access. The new route will be open within four years' time, Italy's infrastructure and transport minister Graziano Delrio said, confirming the plan first announced in July this year. He said the changes would not interfere with commercial traffic. In recent years, frustrated Venetians have staged frequent protests against the mass tourism which has pushed up rents and forced many families out of their hometown. Brugnaro has made tackling overcrowding a priority, and has introduced measures ranging from promotion of the lesser-explored corners of the city to the installation of people-counters at the most popular sights, as well as 'locals first' policies on water buses. And this summer, the mayor's office gave the go-ahead to a ban on new tourist accommodation in the historic centre. The steel cutting ceremony of the third “Vista” class cruise ship, which Fincantieri is building for Carnival Cruise Line, a brand under Carnival Corporation & plc, the world’s largest cruise operator, took place today at Fincantieri’s shipyard in Marghera. She will be delivered in autumn 2019, the shipbuilding group said in a media release. The new unit will be a sister ship of “Carnival Vista”, delivered in Monfalcone in April, 2016, as well as of “Carnival Horizon”, also currently under construction at the shipyard in Marghera with delivery scheduled at the beginning of 2018. At 133,500 gross tons and 323 meters long: these are the figures of the “Vista” class, which includes the largest ships that Fincantieri has ever built for the Carnival Cruise Line’s fleet. She will have 1,987 passenger cabins added up to the 761 of the crew, being able to accommodate more than 6,500 people onboard, including staff.